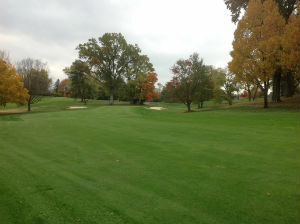 The Country Club was founded in 1902 and was designed by famous architect Tom Bendelow, who also designed Medinah Country Club, East Lake Golf Club, Dallas Country Club, Charlotte Country Club, amongst others. Bent grass tees, fairways, and greens greet the players and are always kept in pristine condition by our club Superintendent, Tom Judd. The course plays longer than its posted length due to the rolling hills, uphill approach shots, and doglegs that the golfer encounters. 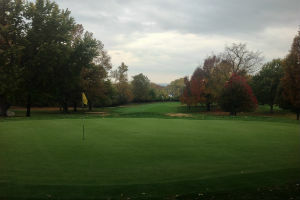 The green complexes are small and are a challenge to hit. Once on the greens, the golfers skill must really surface, as most are sloped from back to front, some severely so. With green speeds at an average of 10-11 on the Stimpmeter, putting becomes an art form. 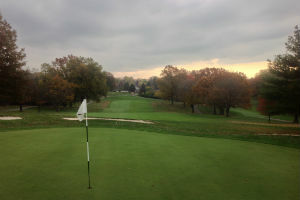 The course still stands the test of time and was even chosen to be a qualifying and match play site for the prestigious 2010 Cincinnati Metropolitan Championship. 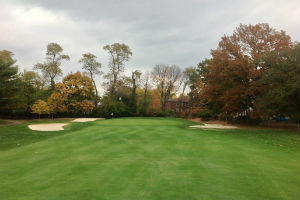 Losantiville Country Club opens with a double dogleg par 5. Reachable in two for the long hitter, our opening hole provides a birdie opportunity right out of the gate. 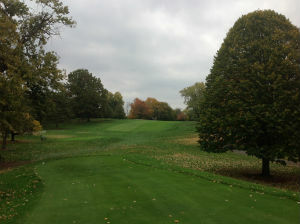 Most players should favor the right side of the fairway from the tee and play their second shot up the left side in order to avoid being blocked out by trees. Three bunkers that are placed ideally to catch a poorly struck approach shot protect the first green. As with most greens at Losantiville, number ones slopes from back to front. The beautiful and challenging number two is perhaps the signature hole at Losantiville Country Club. 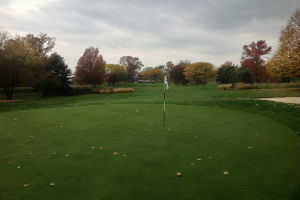 A mid to long iron is required for most players to reach the green. 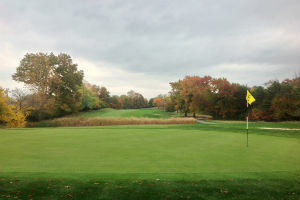 A small pond and creek line the front and left portions of the green and a bunker runs along the right side of the green. The green slopes from back to front as well as from the right bunker down to the water. 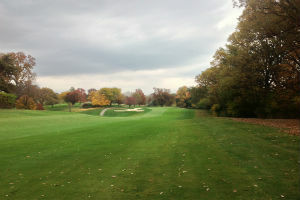 Players send their tee shot down into a valley that prohibits a view of the landing zone on this mid length dogleg left par four. 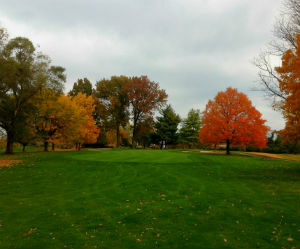 The green is placed well above the tee shot landing area and is protected by two bunkers. Number three's green is sloped from the approaching players right to left. A shot hit well left of the green will go down into a steep valley. Hole number four is a short dogleg right par four and most will use a fairway metal or hybrid club from the tee. The fairway is canted heavily from right to left making an accurate strike a must to keep your drive in the fairway. 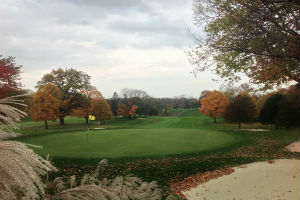 The green is flanked by bunkers on either side and slopes from back to front. Number five is a short and tight par 4 that runs straight up a hill. Two bunkers flank the fairway, a player would be wise to choose a club for their tee shot that either carries or stays short of the bunkers. 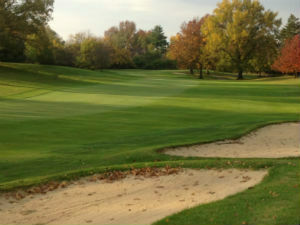 The green is miniscule, sloped heavily from back to front, and is defended by three bunkers. Number six is a medium to long dogleg left par four that features a substantial elevation drop approximately 180 yards out from the green. A fairway bunker is located immediately before the slope down and to the right begins. The front of the green is open to a running approach shot while bunkers surround the rest of the green. Seven is a moderately long uphill par three. Two bunkers run the length of the left hand side of the green and one bunker protects the front right of the green. Again, the green is small, and runs from back to front. 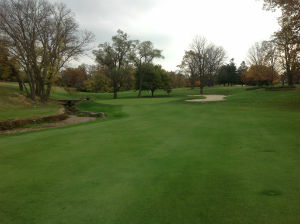 Hole number eight is a straight, moderate length par four that runs down into and than up out of a valley. The green is well above where players hit their approach shot from and is guarded by bunkers on either side. Distance control is a priority as the slope of the green is quite severe. Nine is a short par four that again runs into and out of a valley. The landing area is very narrow with trees on either side. The ninth green is protected by a bunker to the left and by severe back to front slope. A shot played short of the green is preferable to being above the hole. 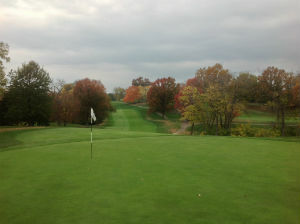 Number ten is a short uphill par four that runs parallel to the ninth hole. The green is well protected by three bunkers in the front and is severely sloped. Players would be wise to leave a full shot into this green as the substantial elevation change makes stopping the ball quite difficult. 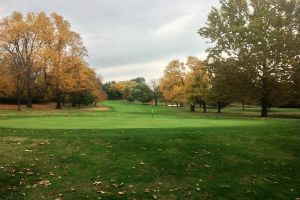 The longest par four at Losantiville Country Club, number eleven runs downhill off the tee and back up to the green. The green is bordered by a bunker on either side but will accept a run up shot from the front. Take your par and run! At 210 yards from the Back Tees, number twelve is the longest par three at Losantiville Country Club. 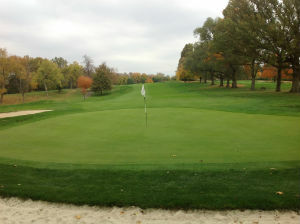 The green is lined by bunkers on either side and is sloped from back to front. 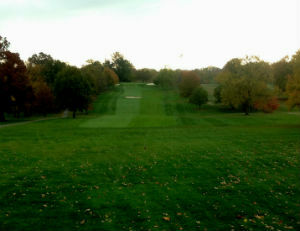 The aesthetically pleasing number thirteen is a short to medium length par four that runs downhill from tee to green. The hole turns gently to the right and a drive avoiding the right rough is crucial. The green is guarded by three bunkers but will accept a run up shot. As the shortest par four at Losantiville Country Club, number fourteen is all about precision. An iron or hybrid club from the tee will leave a short iron or wedge into a slightly elevated, diminutive green that is fronted by bunkers and is heavily undulated. Number fifteen is a dogleg left par four of medium length. Fairway bunkers run along the left side of the fairway before a pond abruptly ends the short grass. Bunkers on either side protect the green and snare errant approach shots. Number sixteen is a long, narrow, straight par five. 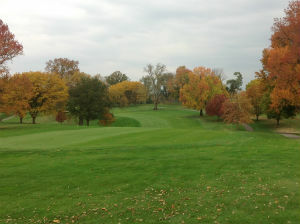 The landing area for your tee shot is narrow and out of bounds runs along Langdon Farm Road. Bunker complexes protect the layup area and the green. As is the norm, the green runs from back to front. Seventeen is a downhill par three which plays shorter than its posted yardage. Bunkers protect a green that runs from back to front. Behind the green, there is a slope down to a pond that will catch any severely long shots. 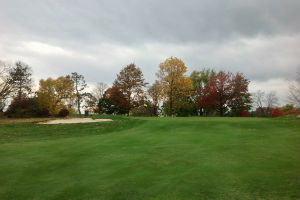 The final hole at Losantiville Country Club is a medium length par four that runs uphill the length of the hole back up towards the Clubhouse and Golf Shop. Bunkers ring the front right and back left of a green that owns a false front and runs from back to front.